As PM Modi prepares for the general election, investors are also worried about IL&FS and Essel groups debt concerns, the RBI's rate cut, and the bankruptcy filing by Anil Ambani's wireless carrier. Japan’s shut, most other Asian equity markets aren’t doing much, and you can read about the big exception — China — here. So we’re going to use this opportunity to talk about India, where an unpredictable election looms. Even before the ballot takes place, a host of worries is raising questions about whether the country’s benchmark stock index can repeat last year’s out performance. First off, recent gains have been narrowly focused this year, with only a handful of stocks, including Reliance Industries Ltd. and software exporters Infosys Ltd. and Tata Consultancy Services Ltd., driving the NSE Nifty 50 Index of India’s large caps. That advance has pared, and the gauge is almost back to flat. 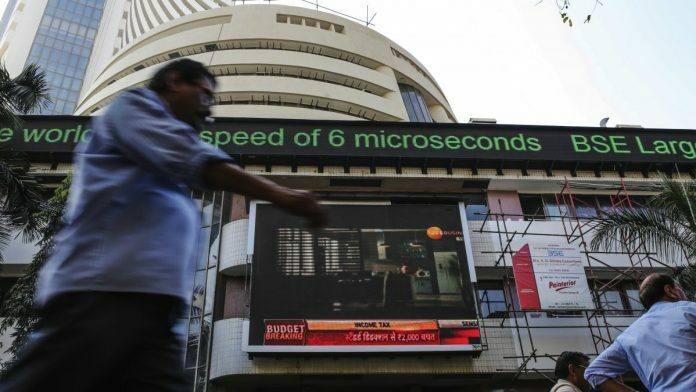 The benchmark S&P BSE Sensex Index, on the other hand, is still about 1 percent higher for 2019, while the MSCI Emerging Markets Index’s gain is 7 times stronger. A surprise interest-rate cut at the Reserve Bank of India. While cheaper borrowing costs tend to be a good for stocks, one concern is they could hurt the exchange rate, pushing up inflation. A bankruptcy filing by billionaire Anil Ambani’s wireless carrier and a sell-off that spread to other firms within his group . In fact, setting aside short-term volatility expected around elections, the votes themselves are not expected to be a key driver for the long-term health of markets even if Modi gets ousted, according to analysts and investors. Anand Radhakrishnan, chief investment officer of equity at Franklin Templeton Asset Management India Pvt, said at a press conference in Mumbai last week that elections “can only boost or dampen sentiment depending on the news flow, but they won’t massively impact the underlying earnings and economic growth” of the country. The firm will continue to invest in India’s “consumption, infrastructure and reform story for the next 20 years” and is betting on banks, automobiles, consumer firms and software exporters to report good profit and revenue growth for the next few years. While the formation of a stable government is important for the sake of continuity, previous election cycles have shown neither growth nor reform stall if a government changes, Societe Generale SA analysts Kunal Kundu and Rajat Agarwal said in a recent report. Polls may pose a near-term risk for equities, but beyond that markets will focus on the trajectory of earnings. So far, 31 of the 45 Nifty 50 companies that have reported results this season have beaten or met analyst projections. There’s one technical indicator that could give investors something to get excited about. The Nifty 50’s 50-day moving average is set to break above its 200-day line to form a technical indicator known as the golden cross. That’s typically seen as a bullish indicator. At the moment, however, trade concerns are weighing on at least some corporate earnings. Jaguar owner Tata Motors Ltd. sank the most in 26 years on Feb. 8 after reporting the biggest quarterly loss in India’s corporate history due to a slump in China’s car market that’s affected automakers around the world. The decline dragged the Nifty 50 to a 1.1 percent drop, its worst since December. On Monday, shares of Tata Motors took another hit after Jaguar Land Rover said that conditions aren’t right for it to borrow from the bond market and that it’s seeking alternative funding.